My name is Cindy Pearson, and I am the executive director of the National Women’s Health Network. The National Women’s Health Network is a nonprofit advocacy organization that works to improve the health of all women. We bring the voices of women consumers to policy and regulatory decision-making bodies. We are supported by our members and do not take financial contributions from drug companies, medical device manufacturers, insurance companies, or any other entity with a financial stake in women’s health decision-making. In 2011, this committee recommended a higher classification of surgical mesh for pelvic organ prolapse repair. In 2016, the FDA reclassified these devices from class II to class III and required manufacturers to submit premarket approval studies for these devices. The NWHN applauds this decision, made in response to reports of severe, permanent side effects including crippling pain, infections, and additional surgeries. Pre-market approval studies are almost always randomized, often long-term, and have blinded assessment. The FDA decision to allow manufacturers to use post market surveillance studies for pre-market approval may seem fair to companies that began clinical studies sometime between 2011 and 2016, but it is not fair to women who deserve the information from high-quality, controlled PMA studies. Furthermore, accepting weak evidence now sets a precedent for the standard of approval all future devices of this nature. The FDA is now asking this committee to re-evaluate the already weaker standards set for approval of vaginal mesh. The FDA is not seeking expert opinion on the results of the studies submitted, but rather the questions from the FDA for this Panel make it clear that it is considering lowering expectations for a well-rounded evidence-based decision, presumably making it easier to approve the devices based on the evidence it has in hand. For example, the FDA seeks the Panel’s opinion regarding whether both objective and subjective outcomes must be used to assess the effectiveness of mesh repair in comparison to native tissue repair. In this question, the FDA is asking if it is necessary to consider the quality of life and pain outcomes of mesh repair, outcomes that are reported by women themselves. To disregard these outcomes in favor of outcomes recorded solely by surgeons would undermine evidence-based decision making, the purpose of reclassification of the device, and the requirement of premarket studies. Furthermore, ignoring outcome data reported by women would limit the information available to consumers in the future, and potentially lead to adverse outcomes that could have otherwise been prevented. 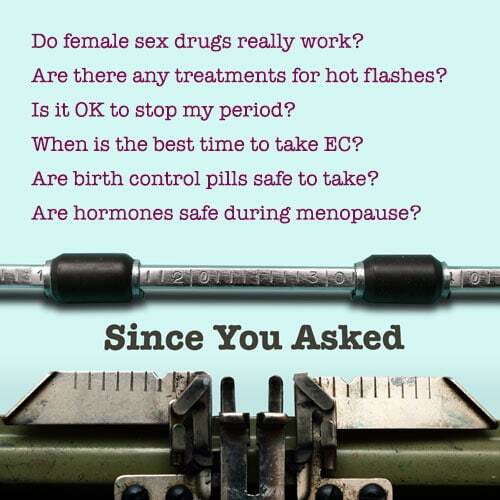 The answer to the questions the FDA has asked the committee should be yes, emphatically. The committee must send a clear message to the FDA that it should consider as much information as possible when evaluating the results of the surveillance studies submitted to support pre-market approval of vaginal mesh. Women deserve no less than the highest standard of scientific evidence.